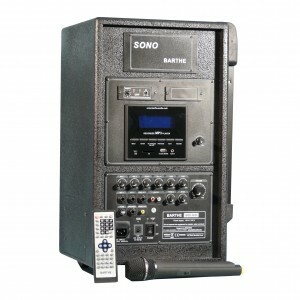 The 120 W SONO range is suitable for all types of communities and education (associations, leisure centres). It is aimed at an audience of 100-140 people outdoors and 130-230 people indoors. 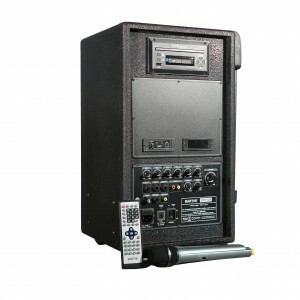 These sound systems can be equipped with CD / DVD player, K7 player, MR player, one or two wireless microphones, and a battery.